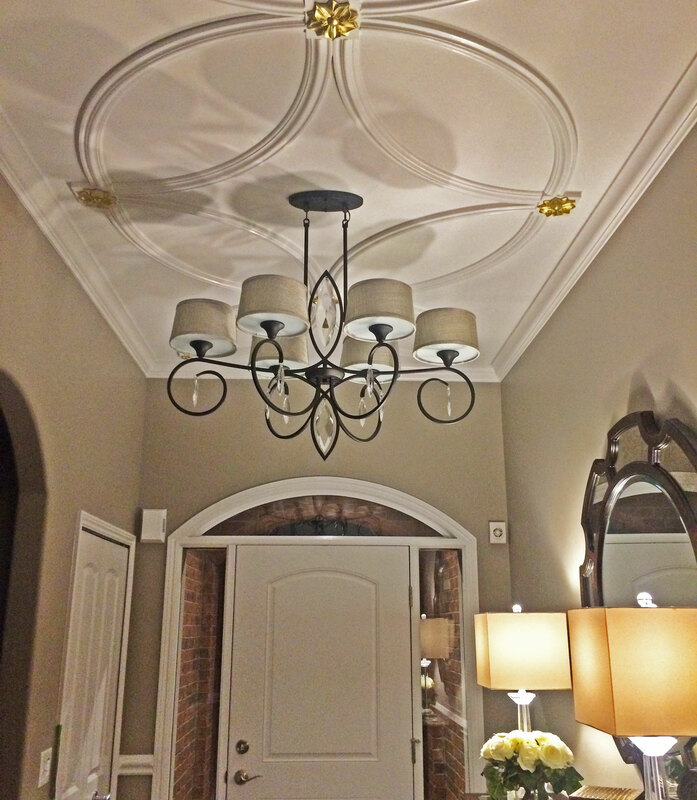 Michael from Rochester Hills, Michigan sent in these beautiful pictures of his latest project. 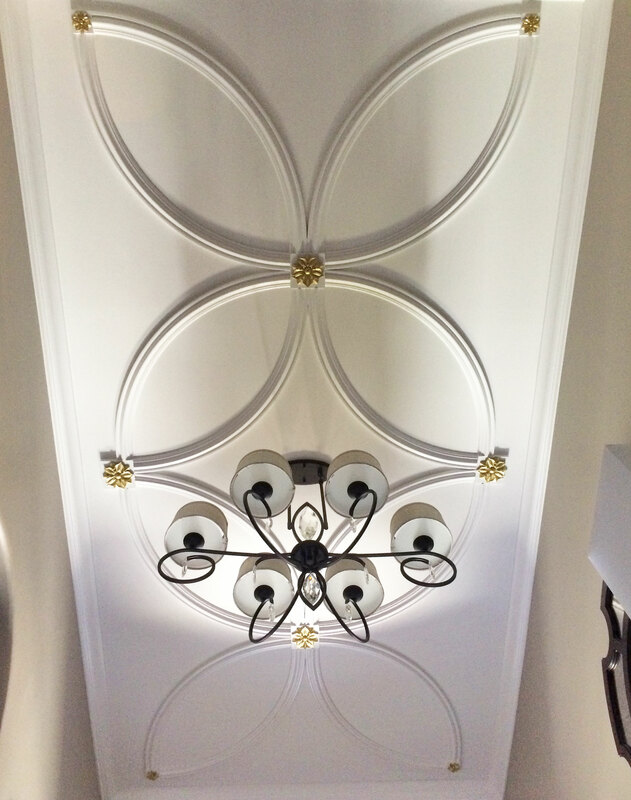 For this project, he used multiple Pompeii Ceiling Rings to create a wonderful ceiling design. 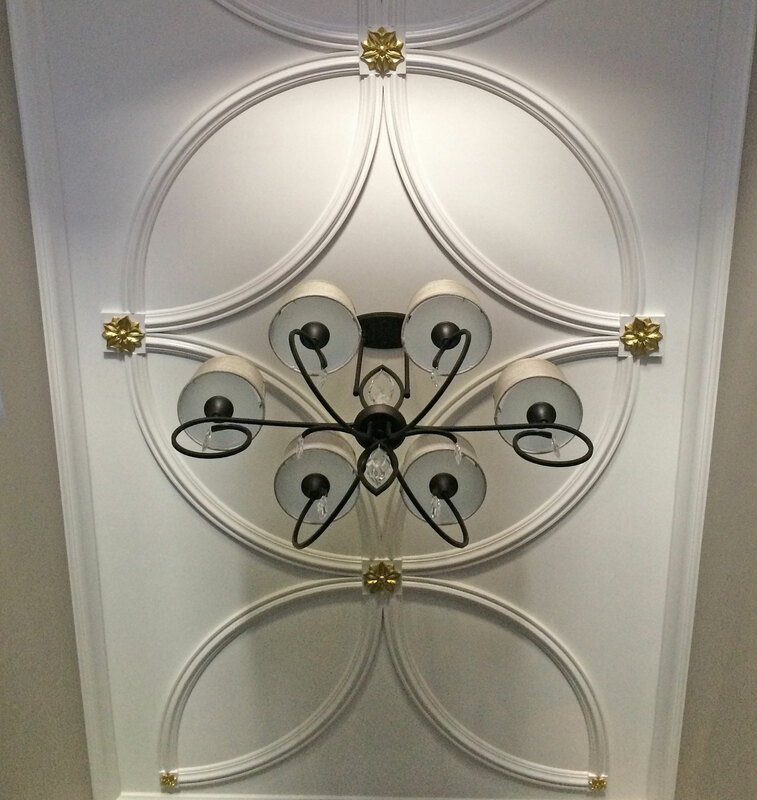 Creatively, Michael placed the ceiling ring pieces in an intricate design that created depth to the entryway. The rings that Michael used come primed in a factory white color that matched the door trim. 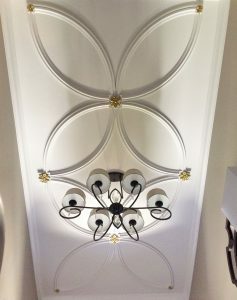 Sold as ¼ of a complete circle, the Ekena Millwork Pompeii ceiling rings are perfect for any ceiling décor project. Whether or not the pieces are used to make a circle or some other design, the rings allow room for creativity in the project. 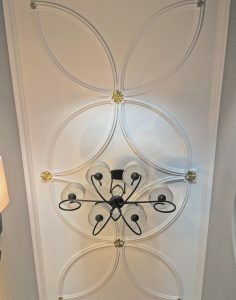 Typically, ceiling rings are paired with ceiling medallions to highlight focal points on the ceiling like fans or chandeliers. 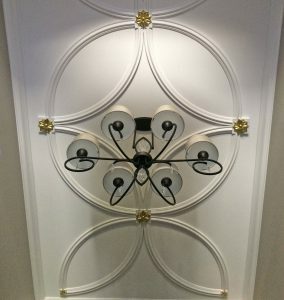 Applications for these products can also include accenting mirrors, photos and other wall décor! 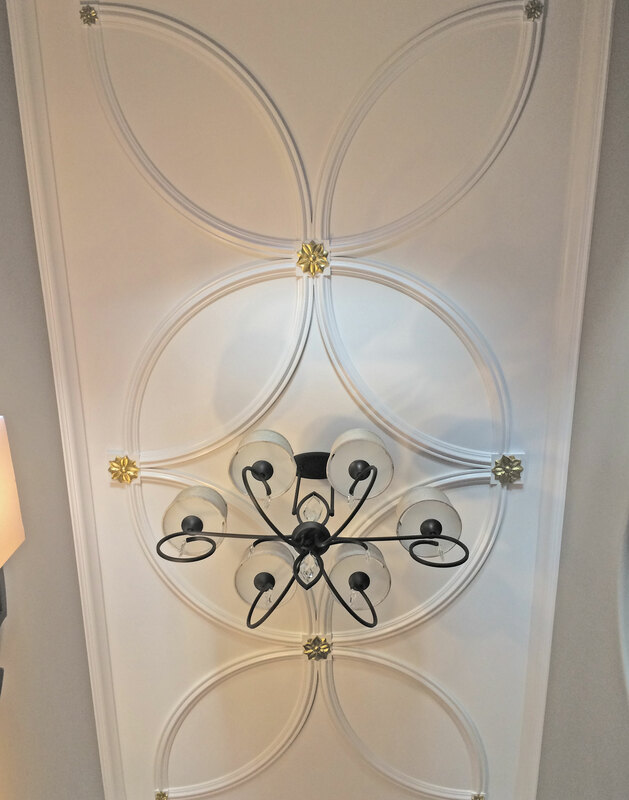 Finally, the customer will receive the ceiling rings fully primed and ready for paint or faux finish. 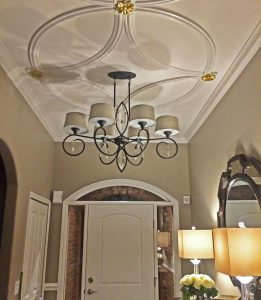 Check out the wide variety of ceiling rings using the link below!